You can find WHISE on Google Maps and even get directions to WHISE from the same page. 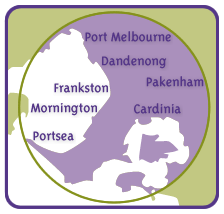 WHISE provides services to the whole of the Southern Melbourne Metro Region. Please use this form to email our office.